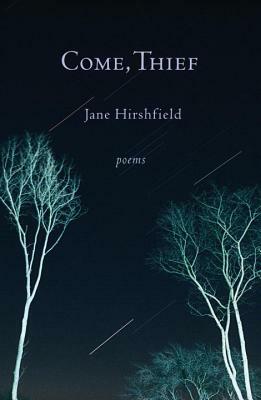 A revelatory, indispensable collection of poems from Jane Hirshfield that centers on beauty, time, and the full embrace of an existence that time cannot help but steal from our arms. Hirshfield is unsurpassed in her ability to sink into a moment’s essence and exchange something of herself with its finite music—and then, in seemingly simple, inevitable words, to deliver that exchange to us in poems that vibrate with form and expression perfectly united. Hirshfield’s poems of discovery, acknowledgment of the difficult, and praise turn always toward deepening comprehension. Here we encounter the stealth of feeling’s arrival (“as some strings, untouched, / sound when a near one is speaking. / So it was when love slipped inside us”), an anatomy of solitude (“wrong solitude vinegars the soul, / right solitude oils it”), a reflection on perishability and the sweetness its acceptance invites into our midst (“How suddenly then / the strange happiness took me, / like a man with strong hands and strong mouth”), and a muscular, unblindfolded awareness of our shared political and planetary fate. To read these startlingly true poems is to find our own feelings eloquently ensnared. Whether delving into intimately familiar moments or bringing forward some experience until now outside words, Hirshfield finds for each face of our lives its metamorphosing portrait, its particular, memorable, singing and singular name.